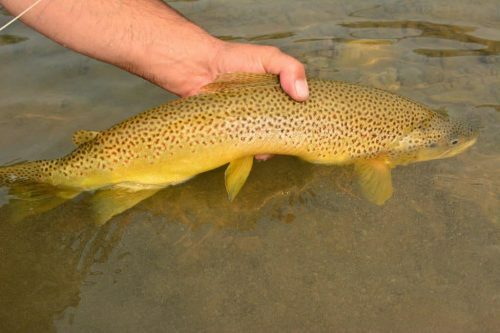 Located in extreme south western Alberta, the Waterton River is a Brown Trout stream that is best suited to floating. The Waterton River leaves Waterton National Park and flows thru the most scenic and ecologically diverse Front Range Country in the Rocky Mountains. 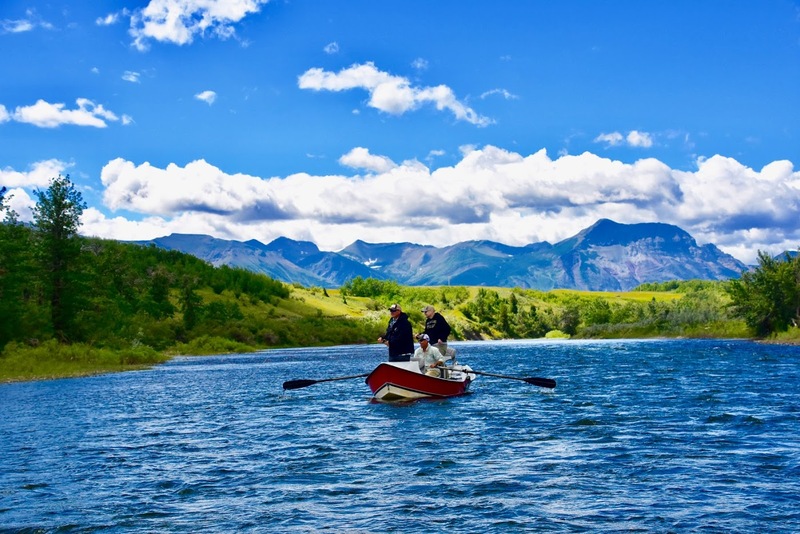 Fly-Fishing the Waterton River is an epic experience. 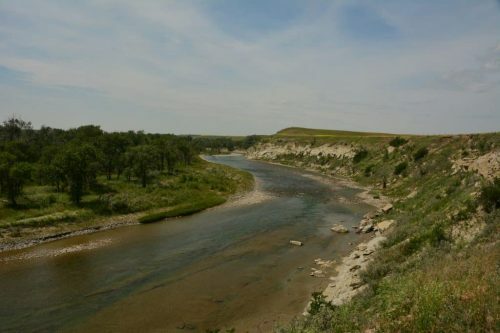 This river has surprised many of our clients for a number of reasons, first off, it is extremely scenic, and it if you hit it right offers some outstanding fly-fishing for some large brown and rainbow trout. 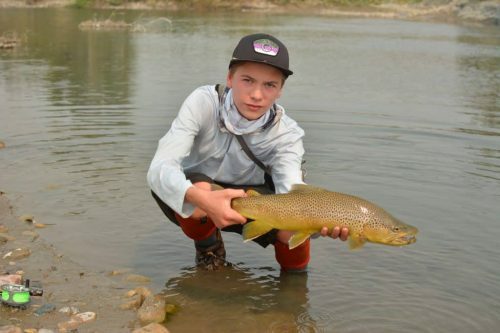 The Waterton River witnesses some great hatches of Stone Flies including Salmon and Golden Stone Flies. 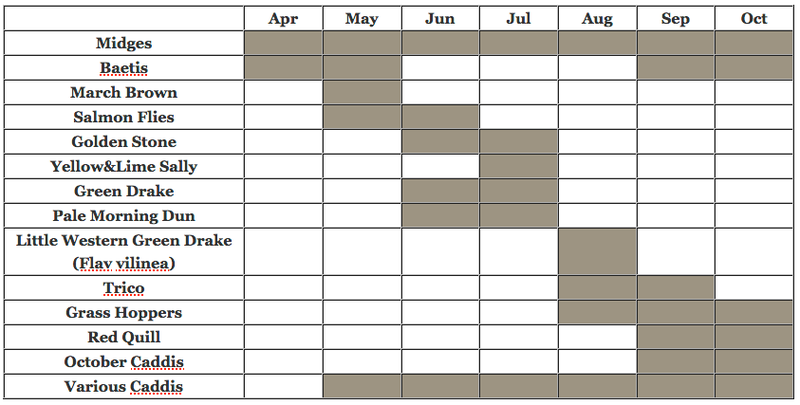 Caddis, Green Drakes, and P.M.D’s also make a yearly appearance. Along with these hatches and an abundance of Grass Hoppers makes the Waterton River a great place to fish Dry Flies. When the fish are not looking up a big streamer fished thru likely holding water results in arm tearing strikes! While guiding on the Waterton River, Dave Brown Outfitters makes use of private access, which allows us to float two stretches of this river. 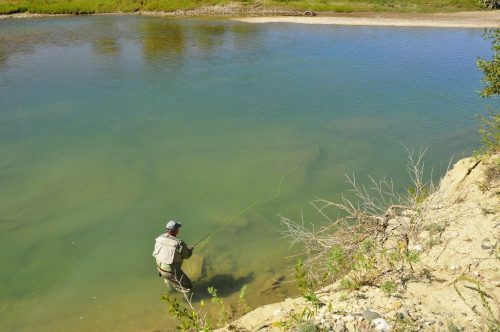 Further down there is a walk & wade Tailwater stretch that offers some exciting fishing for good sized rainbows and browns… usually on Hoppers. 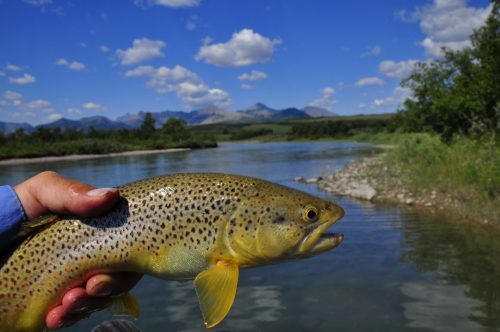 Dave Brown Outfitters conducted the first guided float trip on the Waterton River in 1995. Since then our knowledge of this river has continued to grow to the extent that we know the Big Browns on a first-name basis. 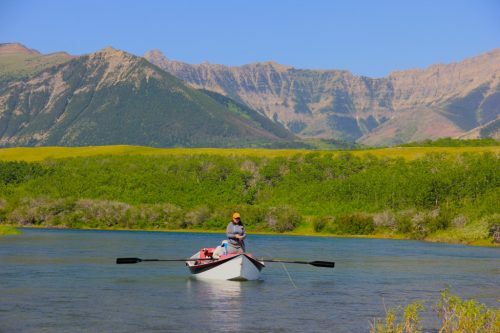 The floating season on the Waterton starts in late June and lasts until mid July, then the flows drop and the Waterton River is better suited to walk & wade anglers. We fish the Waterton River thru to mid-October. We suggest floating the Waterton for one or two days and it is an easy “Add On” for other rivers in S.W. Alberta. The Waterton River is close to other S.W Alberta Rivers such as The Crowsnest, Oldman, Castle, Livingstone, Belly and St. Mary Rivers. 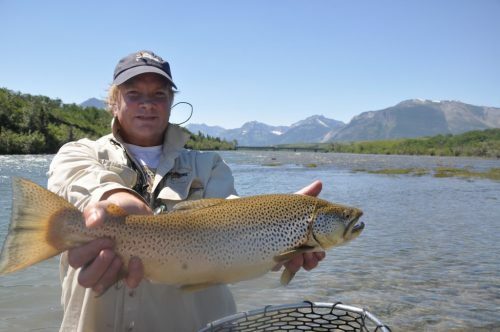 The Elk River is 1.5 hours away making the Waterton River an easy add-on to an Elk River trip. As the Waterton River is a best incorporated into a multi-river trip on numerous rivers in S.W. Alberta and The Elk River in British Columbia. 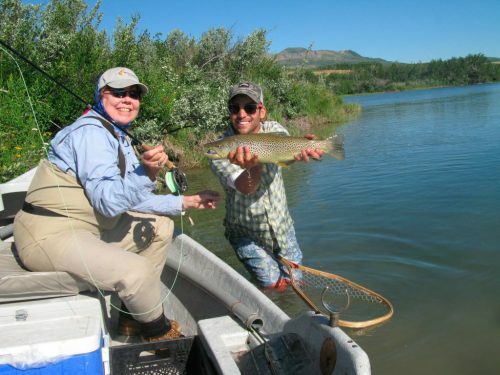 We suggest taking full advantage of the convenient Seven Rivers Fly-Fishing Lodge.